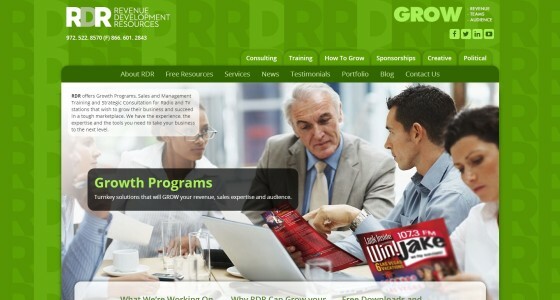 RDR offers Growth Programs, Sales and Management Training and Strategic Consultation for Radio and TV stations. 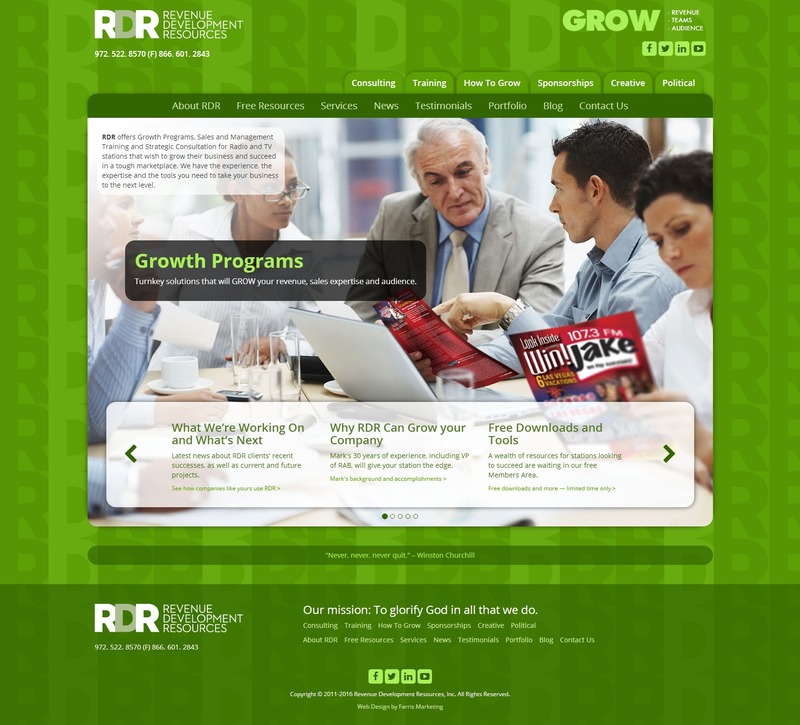 Farris created a completely revamped website for RDR, as well as sales materials. We also design and develop print, web and mobile versions of promotional magazines used by the company’s clients.